The SBA’s Growth Accelerator Fund Competition is open for applications and ready to award successful incubators and growth accelerators with cash prizes. This competition, which awards the most innovative and promising small business accelerators and incubators, was announced by the Small Business Administration this morning. These prizes will give the winning organizations additional capital and ultimately assist promising start-ups and entrepreneurs. For more details on the competition, including competition rules and eligibility, please see the SBA’s announcement. Applications are due by June 3, 2016 and can be submitted through Challenge.gov. Click here to learn more and to register for these webinars. To view recent news/press releases and learn how to share with your networks, click here. We hope that you can join us this week! Seeking to clear up a gray area triggering securities registration, the House of Representatives passed The Helping Angels Lead Our Startups (HALOS) Act pushed by Small Business Committee Chair Steve Chabot (R-OH). Pitch events or demo days are common methods for business owners to showcase their companies and products to a room full of investors. 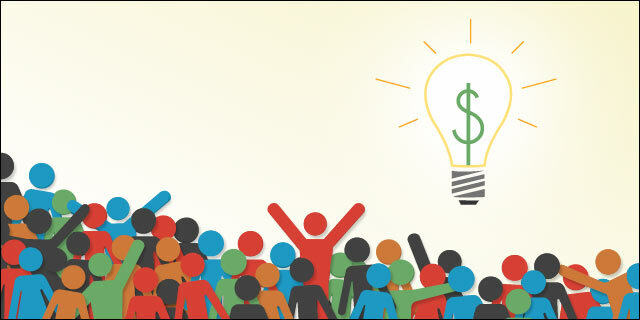 Right now, there is confusion about whether these events are allowed because the Securities and Exchange Commission’s rules prohibit “general solicitations.” The HALOS Act would clarify that pitch events hosted by angel investors are not general solicitations and do not require securities registration – a complex and expensive process for both angel investors and companies seeking investment. Angel investment is particularly important for women-owned businesses. Recent data indicates that one in four angel-backed companies are led by women. The number of women-led companies receiving angel investments has increased by 234% in just the last decade. Since women-owned businesses receive only 4% of conventional small business loan dollars, it is vital to cultivate other sources of capital. This bill will now move onto the Senate for consideration. WIPP will continue to engage Members of Congress on access to capital issues. An additional recommendation in WIPP’s access to capital platform, Breaking the Bank, urges Congress to incentivize angel investments with tax credits. If you are an entrepreneur seeking capital, the path to venture funding could be getting a little easier. 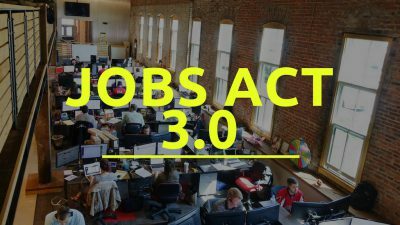 Earlier this month, the House Financial Services Committee took action on two bills that make venture investments more attainable for entrepreneurs – The Helping Angels Lead Our Startups (HALOS) Act and the Main Street Growth Act. As women entrepreneurs only receive 7% of venture dollars, improving access to venture capital is a top priority in the women’s business community. 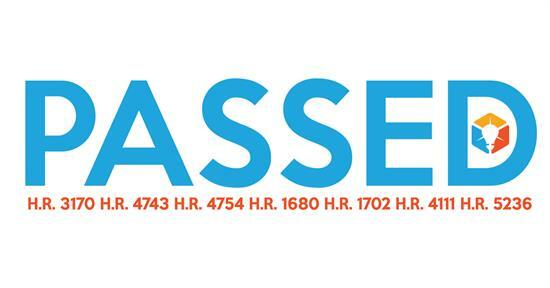 To further incentivize investment, The Main Street Growth Act (H.R. 4638) will create securities exchanges specifically for venture capital investments. Existing stock exchanges could create a new tier to specialize in venture capital investments or entirely new exchanges could be established. These securities exchanges will bring together buyers and sellers of venture capital and create a more liquid market, which will incentivize investors to support startups. While no single policy change or piece of legislation will break down the barriers that prevent women entrepreneurs from accessing capital, these incremental improvements show that Congress is committed to leveling the playing field for women entrepreneurs. WIPP’s access to capital platform, Breaking the Bank, continues to gain traction with legislators and WIPP is dedicated to growing women entrepreneurs’ share of venture capital funding. Is it just me or are the candidates ignoring economic issues that are business women’s bread and butter? The election so far has largely centered on social issues and impossible promises such as free college. What about taxes, healthcare costs, employee issues, access to capital and access to markets? And what about a positive message? Business owners are optimists – if they didn’t believe America was great, they wouldn’t take the risk of investing in a business. Someone out there thinks America is still the land of opportunity—to the tune of 10 million women business owners. In all my years of working with Congress and Administrations, Republican or Democrat, WIPP has always taken the view that women who are business owners are influencers in their communities and a trusted source of information. Their focus is on results, sensible regulations and an investment in small businesses. Therefore, they have the obligation and privilege to make a difference in elections and policy platforms. Hence, the launch of WE Decide 2016, a collaboration with Personal BlackBox (PBB). WIPP has provided a platform for women entrepreneurs to have their voices heard during the 2016 elections. WE Decide 2016 engages women business owners and women entrepreneurs to focus our message. The opinions shared through this initiative will culminate in a policy platform, which will be shared with the candidates at both national conventions. WE Decide 2016 utilizes an interactive online platform to conduct polling and outreach to women business owners on the issues that affect our lives and businesses everyday. Through quick polls and issue surveys, we will be able to ascertain women business owners’ views in a timely manner and we will share the results with the media. What makes WE Decide 2016 different from all the other avenues to share your opinion? Thanks to our partner, Personal BlackBox, WE Decide 2016 gives women control of their personal data and a safe place to express opinions privately with peers. Unlike current Presidential polls run by CNN, the DNC and RNC and even Facebook, the information you share with WE Decide 2016 will never be sold to anyone. So, let’s get started. First step: go to WE Decide 2016 and register. We need an initial number of 1000 registrants to do credible polls. Step Two: ask all of your friends and networks to join the effort. Since we are 10 million strong and an economic force, women business owners are in a unique position to shape the conversation around issues and approaches that resonate with us. Act now. Our businesses and our future depend on it.